Want a quick, easy way to access apps on your Android without searching through your entire list of apps, and without cluttering your screens with shortcuts? Try using application groups instead. Android users have a limited amount of screen space available to them – typically 3 to 7 screens on average. With limited space, it’s easy to see how screens can quickly become cluttered, especially if you install a lot of apps. In the past, the solution was to download another app to allow for organization. However, Android started catching on, and gave users the ability to group apps into folders to reduce screen clutter. This worked for a while, but it became clear that this still wasn’t the solution that Android users wanted, so with version 2.2, Android introduced the ability to group applications from the actual app screen. App groups are an easy way to categorize everything, allowing you to quickly access what you need, when you need it, without wasting time searching. 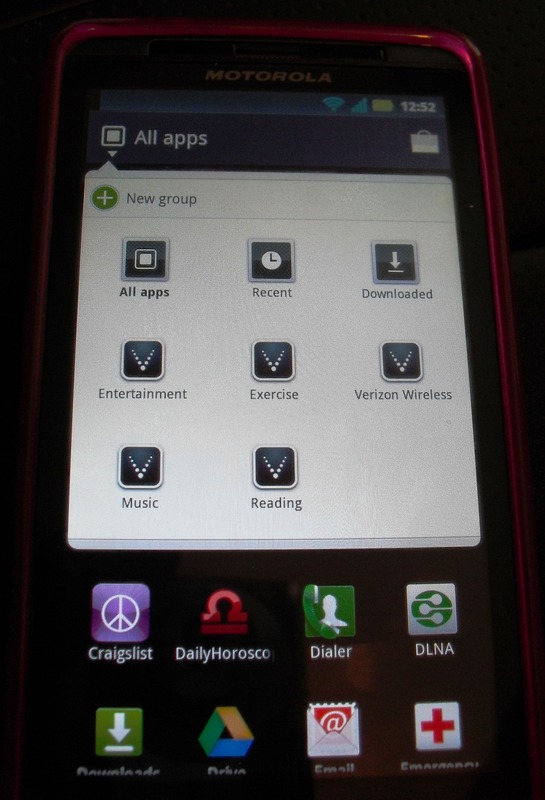 Additionally, you can add an app group to your main screen, making it even easier to access. To group your apps, click on the apps button. Press and long hold on the app you would like to categorize. A menu will appear, with one of the options being “Add to Group.” Click this option and then add the app to an existing group, or click the green plus to create a New Group. You may name groups whatever you wish. Note: You can only group apps if you’re running Android version 2.2 or higher. To determine which version you are running, go to Settings > About Phone > and look for the Android Version number. To switch between groups, click on the Apps button, and then click on the words “All Apps” at the top. A menu will appear, showing you a list of groups. Click on the desired group to access the group. To add an application group to a particular screen on your Android, locate the spot where you would like the group to appear. Press and long hold until the menu appears and select Shortcut > Applications > App Groups. Then, select the appropriate application group. Try setting up an app group for the gym, that includes everything you need for working out (like your favorite music or video apps), or setup an app group for anything else you need. App groups are a quick, easy way to catalog what’s on your phone, so that you can access exactly what you need, when you need it. What application groups do you use on your Android phone? Leave us a comment and share how you use your Android phone. Julie Strier is a freelance writer who enjoys helping you better understand the inner workings of your smartphone. Email: julie@mybusinesswriter.com. Website:www.mybusinesswriter.com. Welcome to the second part of our discussion, Which Version of Windows 7 Should You Choose? If you haven’t already done so, please read Part I for some great reasons to upgrade, before continuing. Maybe you’re ready to upgrade, but are daunted by all of the different editions of Windows 7. Here is a quick rundown which will hopefully help shed some new light. First off, it is important to note that the features for all editions of Windows 7 are included, regardless of which edition you are using. Your license key type is what determines which features you can actually access. Windows 7 Home Premium: This edition is geared toward home users and contains some basic Windows 7 features, like Windows Media Center. Home Premium can join a basic home workgroup, but not an actual server run domain (like a business domain). Windows 7 Professional: Created for high-end users and small-business, this edition provides all the features of Home, but with additional business features, like being able to join domains, run programs in XP mode, activate Software Restriction Policies and more. Windows 7 Enterprise: This edition is only sold to companies with a Software Assurance contract with Microsoft. Enterprise is is packed with even more business and enterprise level features, like data encryption with BitLocker, Unix application support, the ability to run virtual machines, and more. Windows 7 Ultimate: Contains all features of the previous editions of Windows 7. If you want to use Windows 7 without limitations, this is the version to purchase. 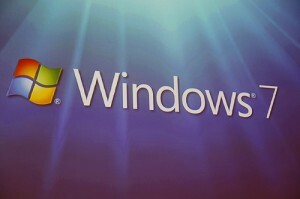 On top of all the editions, there are also two different versions of Windows 7 – 32-bit and 64-bit. However, determining which version is for you depends on your computer. There is no point in getting a 64-bit operating system, if you don’t have a processor capable of running 64-bit. You can test your computer’s compatibility before upgrading with Microsoft’s Windows 7 Upgrade Advisor. Just in case you’re still on the fence about upgrading, here are a few other reasons to think about. Installation is so fast, you’ll be amazed. Finally, Microsoft came out with a version of Windows which doesn’t take forever to install. Typically you can be using your computer again, after a fresh install of Windows 7, in as little as 30 minutes (or less). 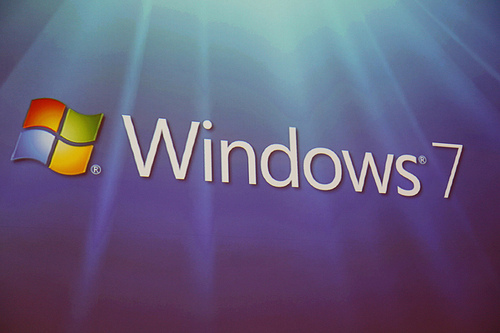 Student pricing allows you to purchase Windows 7 for cheap – under 75 dollars, depending on edition and school deals. Microsoft also offers student discounts for other Microsoft programs, but you must actually be a student, and your school has to participate in Microsoft’s program. Check out Microsoft’s student discounts. Hopefully this post gave you enough information to finally consider taking the plunge, and upgrading to Windows 7. Once you finally do, you’ll wonder why you waited so long. Are you in love with Windows 7 because of a recent upgrade? Leave us a comment and tell us about your experience. Julie Strier is a freelance writer who likes to help make your technology easier to understand. Email: julie@mybusinesswriter.com. Website:www.mybusinesswriter.com.